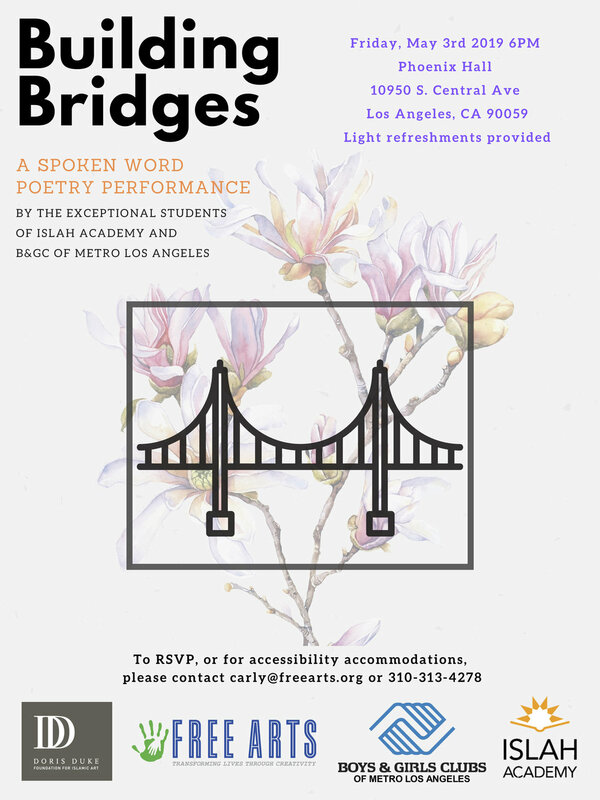 Please join us for a night of spoken word poetry performed by students from the Islah Academy and Boys & Girls Club of Metro Los Angeles. This performance is the culmination of months of hard work- children have been involved in an intensive program centered around identity and social justice, and have learned how to express themselves through creative writing. For accessibility accommodations, please contact Carly at carly@freearts.org or 310-313-4278. Check out the Eventbrite page here. This performance was made possible through the Doris Duke Foundations' Building Bridges program, focusing on the Muslim youth experience in America today.